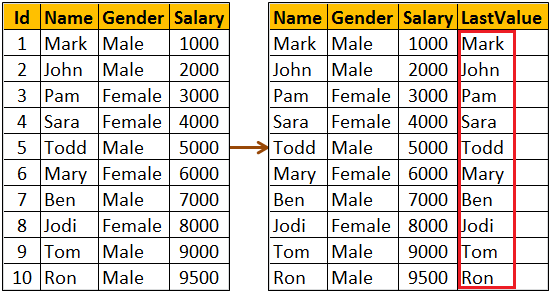 In this video we will discuss LAST_VALUE function in SQL Server. 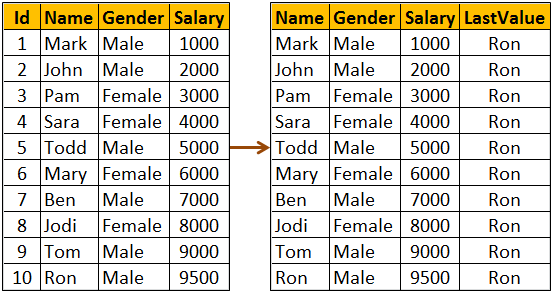 LAST_VALUE function not working as expected : In the following example, LAST_VALUE function does not return the name of the highest paid employee. This is because we have not specified an explicit value for ROWS or RANGE clause. As a result it is using it's default value RANGE BETWEEN UNBOUNDED PRECEDING AND CURRENT ROW. This tells the LAST_VALUE function that it's window starts at the first row and ends at the last row in the result set. 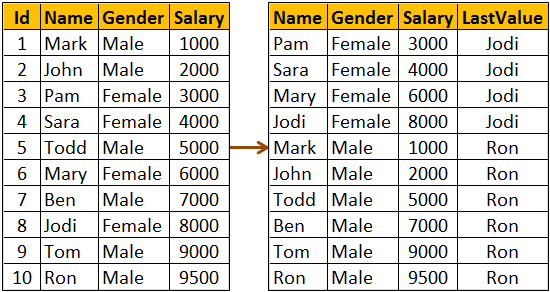 LAST_VALUE function example with partitions : In the following example, LAST_VALUE function returns the name of the highest paid employee from the respective partition.